Brief historical summery: The Lhasa Apso comes from Tibet where many live at high altitudes and the climate can be severe. He has to be a hardy little dog to withstand these conditions, and this has had a great influence on his development. His long, hard coat with its dense undercoat acts as insulation during winter, and the fall of hair over his eyes protects them from the wind, dust and glare. The Apso is one of several Eastern breeds to come to the West. The first Apsos arrived in Britain in the early 1920s and were being shown in London soon after. When they were first seen in Britain they were confused with other shaggy Oriental dogs and all were labelled ‘Lhasa Terriers’. 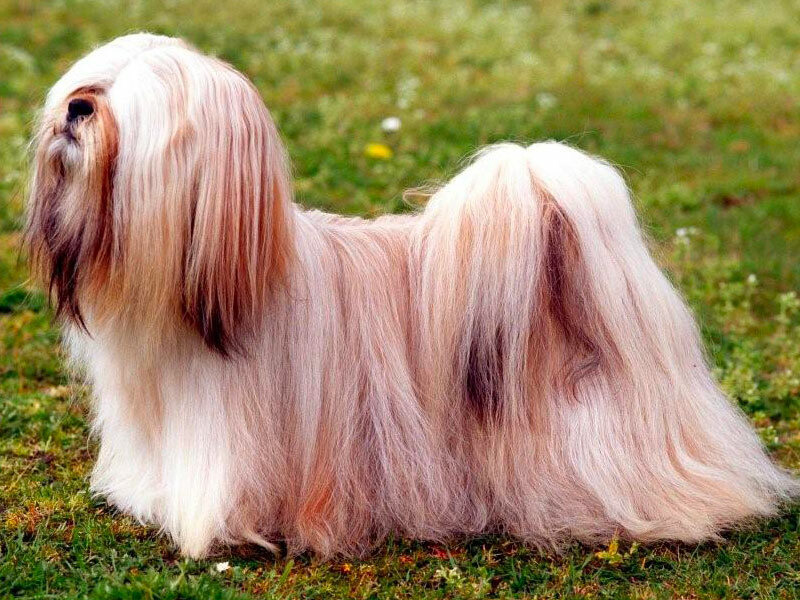 Later a distinction was made, especially between the Apso and the Tibetan Terrier which is thought to have been behind the early Apsos. A breed club for the Lhasa Apso was established in Britain in 1933. Colour: Golden, sandy, honey, dark grizzle, slate, smoke, particolour, black, white or brownish. All equally acceptable.